There is amazing complexity to America’s healthcare system. Everyone agrees the end goal is to make healthcare more accessible and less costly all while keeping people healthier and in their communities longer. Few understand how America is going to create the new forward-thinking care coordination solutions or who’s in the best position to help identify unilateral success. 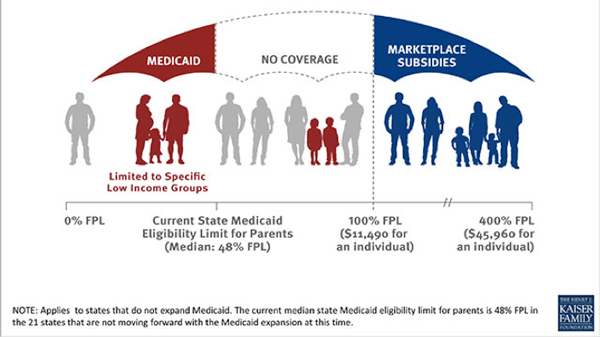 Let’s start with a look at the base of the system which is Medicaid. Each state’s Medicaid program paints a different picture. They all share the same foundation, but they are vastly different. To identify success among the programs, you have to understand the differences. Medicaid is a joint program between the Federal government and the State government. The Federal government pays for roughly 50-80% of the program and the State government picks up the balance or must apply for waivers or grants for additional funds. Take a look at this short video that explains how the funding works and who it serves. It’s a great primer. No two state’s Medicaid programs are funded exactly the same way. Who’s eligible for Medicaid also varies from state to state. Some groups are more widely covered than others, depending on the state in which you live. While low-income children are widely covered among states, their parents may not be covered and neither are adults without children. There are large population gaps that Medicaid expansion was originally designed to catch. The people shown in gray are the people that still don’t have access to health care in states that declined to offer Medicaid expansion via the Affordable Care Act initiative. The Affordable Care Act had 3 components that gave people better access to health insurance 1) Expand Medicaid to address the gaps in coverage as the Kaiser Family Foundation illustrates. 2) Create affordable options by opening a competitive marketplace. 3) Require people who could afford to buy insurance to do it or face penalties. The expansion theory was based on successful models from states that had already recognized the shortfall and expanded Medicaid on their own initiative prior to the Affordable Care Act. When the Supreme Court ruled that states could decline to elect to expand Medicaid without penalty, different eligible patient populations between states remained the status quo. In other words, a low income adult without children may be eligible in Vermont, but not in Texas. It varies. According to Medicaid.gov, 27 states are proceeding with Medicaid expansion to cover the gaps as of Nov. 1, 2014. So how it’s funded and who it goes to is different from state to state—now take a look at benefits. State Medicaid benefits also vary from state to state. You can get a feel for the differences using the Kaiser Family Foundation’s Medicaid Benefits tool. Only 34 states provide hearing aids, but 27 provide chiropractic visits, and 40 provide speech therapy services. 23 even provide private duty nursing. However, each state has different provisions for how these services may be accessed and as was pointed out earlier, by whom. While non-emergency medical transportation is covered by just about every state, some states require approval before the service is used by a patient and some don’t. Some states may allow seniors rides to drug stores to get their prescriptions if they can’t get there themselves and some may not. You have to be a master at customization to service Medicaid plan members—the patient—as a result. You can’t serve any two states or any two plans in the same way. In order to deliver customized services effectively, you must understand each state's program inside and out. Who’s going to help set new coordinated care models? It’s those companies that have umbrella views of trends across multiple states. The benefits behind free preventive care and maintenance only works if you can get trouble populations to their appointments. Take a look at who’s getting where in connection with their overall healthcare costs and a valuable picture emerges.